So i started laying some paint on my trollbloods between games night and table work. It's basically just to see how... weird this will all look in the end. When i told my friend my idea, he said that he didnt think much people would get it... so i have a few idea that could help people see the theme behind this army... but those are secrets! 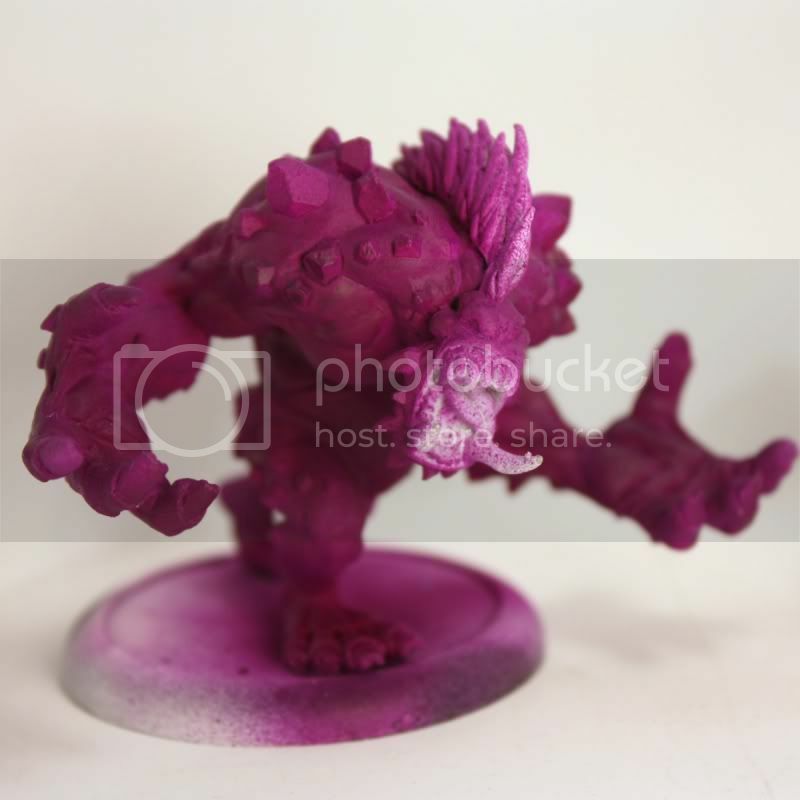 Seriously tempted to call him "Raisin the mauler"
So this is a first layer of purple... i'm thinking about highlighting him toward red (like a dark raisin), or maybe just standard highlight. His stone on his back will be gray-white, and maybe his hair too, not sure yet. 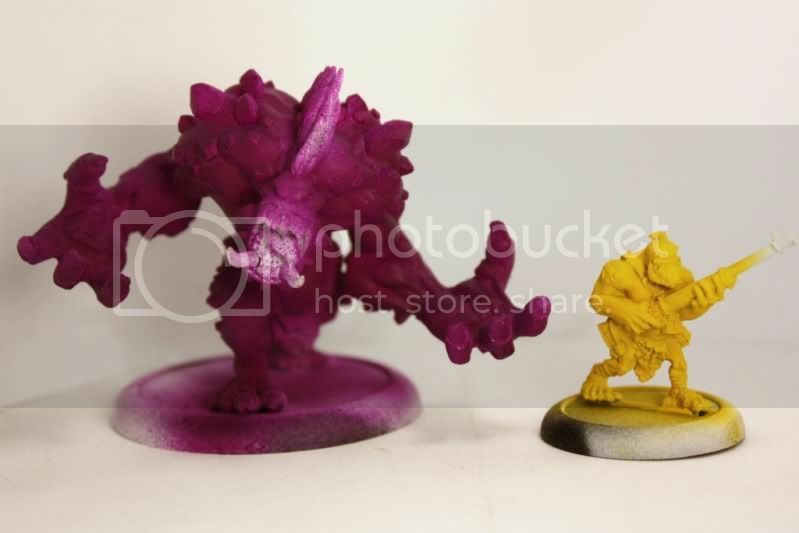 To give an idea, here's a Pyg painted in yellow... obviously, this is only airbrushed (and not finished airbrushing base color either), but this give a pretty good idea how.... well, different? this army will look.